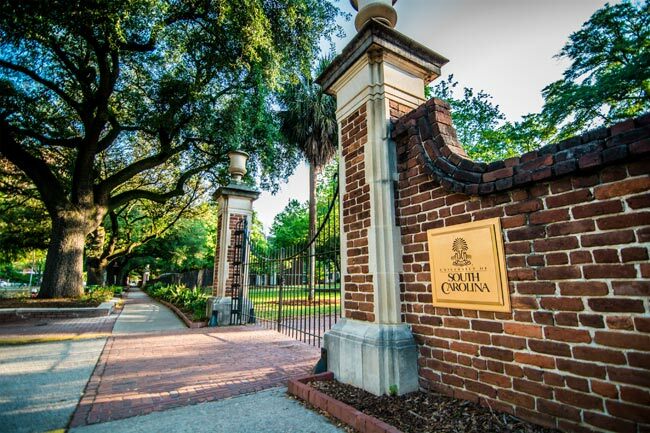 The University of South Carolina was founded in 1801 and offers over 350 courses of study. The Horseshoe, pictured here, served as the university’s original campus and dates from 1805. 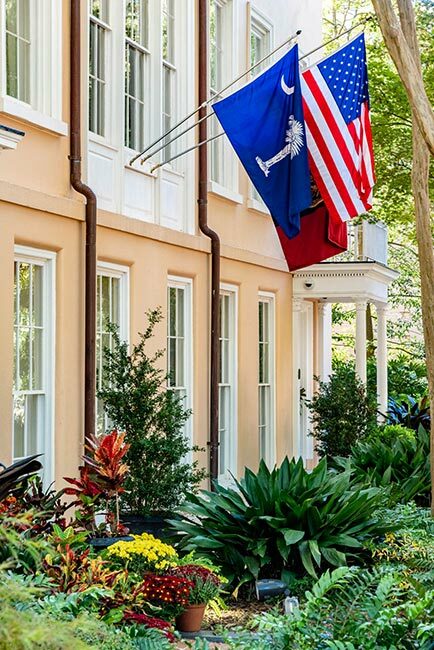 It is located just one block from South Carolina’s statehouse. When the school first opened its doors, Rutledge College was the only building on campus. Eventually, eleven other buildings were added, all facing into a beautiful garden area where students could gather. These buildings formed a U-shape which is now known as the Horseshoe. Throughout the 20th and 21st centuries, the campus expanded greatly. A student union, 21 residence halls, numerous academic buildings, the popular Longstreet Theatre, an arts center, a coliseum, and of course Williams-Brice Stadium have all been added. The University of South Carolina continues to expand its facilities towards the Congaree River to better support its research plans and initiatives. This new part of the campus is called Innovista, and it mixes private and university research buildings with commercial and residential facilities. 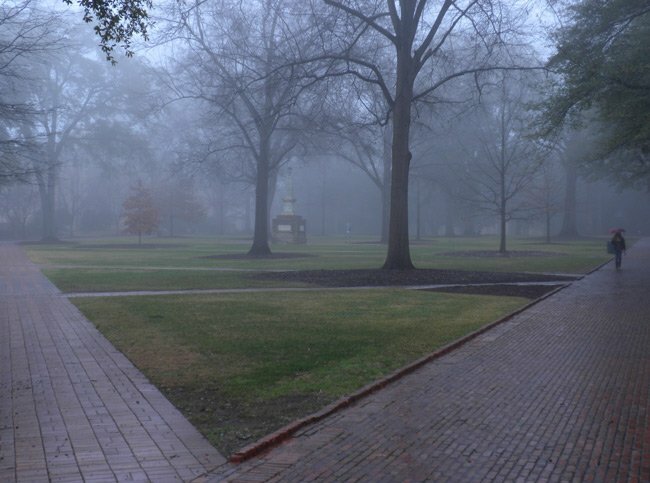 Even with these changes, many students still enjoy the natural beauty of the Horseshoe. 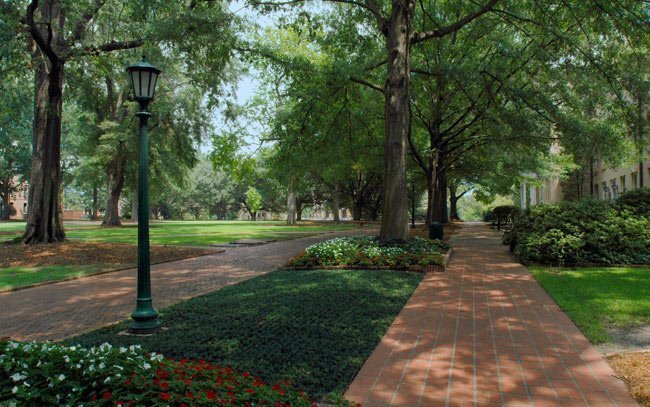 Wireless internet is available in this area, and you will often see students studying and reading under the oaks. Though the campus boasts state-of-the-art facilities, the Horseshoe is also home to several historical features. The brick wall, seen above, dates to 1835 and originally stood at six feet, nine inches tall. Its purpose was to keep students inside the campus, but it also served as a line of protection during the Civil War and prevented fire from spreading to the campus. The wall was modified in the late nineteenth century, replacing its first entrance on Sumter Street with the two present openings. McKissick Building: Built in 1940 on the site of the original president’s house, the museum sits prominently at the head of the horseshoe. The visitors center is housed here, making McKissick the university’s “front door.” The McKissick Building is also the home of many historical collections and southern archives. South Caroliniana Library: Built in 1840, this library was the first freestanding college library in the nation. Today it houses special collections and USC’s archives. J. Rion McKissick, the school’s 19th president, is buried in front of this building. 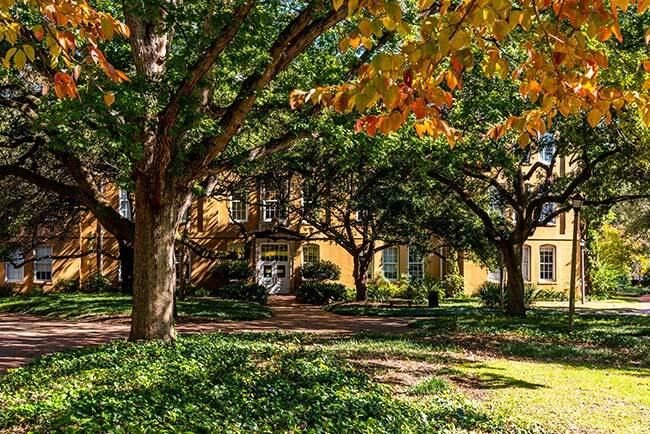 President’s House: The original faculty housing was destroyed by water damage in the early 1800s, and the President’s House was built in 1854 to replace that loss. It was used as faculty housing until 1952 when it became the home of the university’s president. 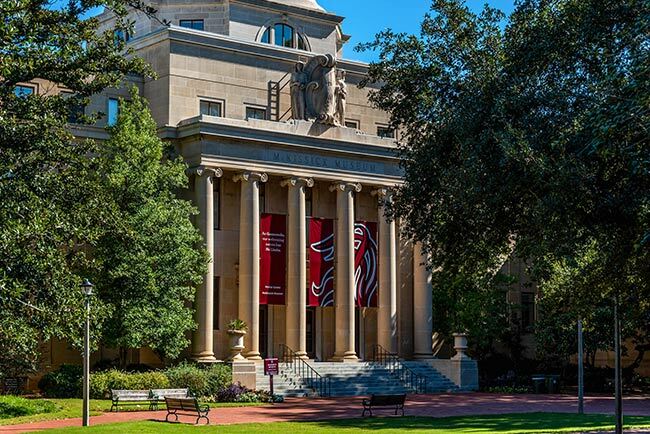 (University of South Carolina Historic District) Chartered in 1801 as South Carolina College, opened 1805, and re-chartered as University of South Carolina in 1865, the institution reflects the ambitions and fortunes of the state. 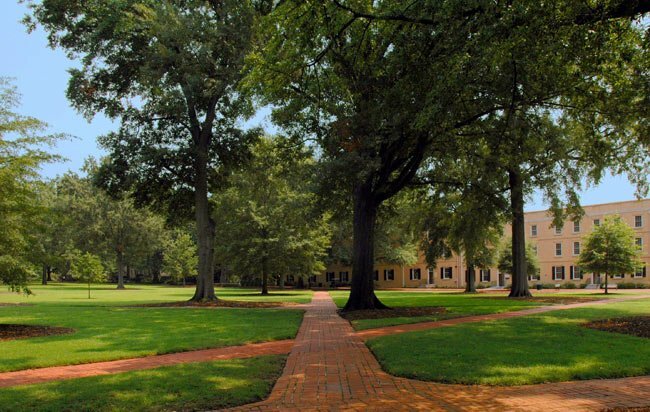 A tree-shaded quadrangle centers the Old Campus District. The buildings bordering the quadrangle present balanced grouping and harmony of design, austere simplicity of early Republican architecture. A brick wall erected in 1835 surrounds them. Landmarks include Rutledge College (ca. 1805) and Maxcy Monument (ca. 1827), both designed by Robert Mills; DeSaussure College (1809), designed by Edward Clark; South Caroliniana Library (ca.1840), the oldest separate college library building in the United States; and the Gymnasium, designed by Jacob Graves in 1855 as a chapel. There are over twenty other contributing campus institutional buildings and numerous contributing landscape features.